The activities of the St Columba’s Church family are only possible because of the time, talents and money given by members and friends. This picture is from our Stewardship Season on talents in 2013. 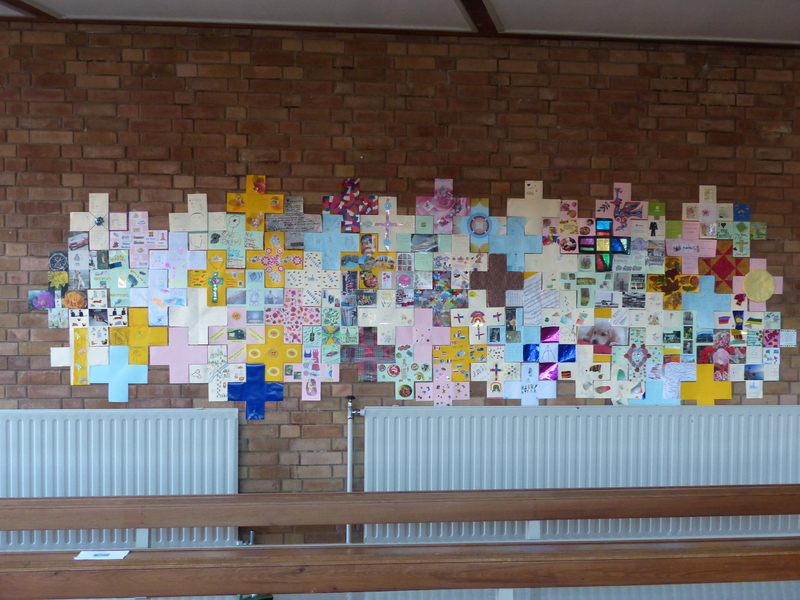 Many members decorated individual crosses and renewed their commitment. In 2014 the focus was on time and in 2015, the focus was on money. The Kirk Session is forming four groups which will meet once every month or two. These groups will encourage people who are involved in the St Columba’s church family and enable changes or new things, where that is appropriate. Each elder will be in one of these groups, but we would very much like to encourage other people also to choose one group. You don’t have to come to all the meetings, but a wider spread of thoughts and ideas would be wonderful. Might you consider joining one of these groups? If so, please e-mail info@st-columbas.com. Thank you! o Nurturing Faith – Nurturing and growing the faith of the church family through worship and fellowship. o Pastoral Care – Looking after each other within the church family. o Community and Wider World – Discerning where God is working and joining in. The life of St Columba’s Church is supported by a wonderful group of volunteers. From time to time, we look for new people to be involved. Would you consider helping out with any of the following? If you might be interested in one of these activities, please e-mail info@st-columbas.com. Thank you! Although many people directly contribute to the activities based in St Columba’s, much more is given in Christian service by members and friends in their daily work, in caring for others and through their support of other charities and voluntary organisations. If you would like to support the activities of St Columba’s, then you can make a donation on our Give.net page.